HangarChat Maintenance on March 27. Here's an interesting little story we found surfing the internet. We can't say whether or not it's true but it's funny none the less. Have you heard similar stories? 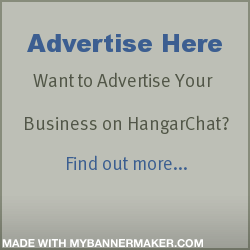 Do you love HangarChat? SOPA may prevent us from running the site. I'm a 59year old student with200 hr on a 172rglast year a became an ampute. I'm looking for a scholarship to fly again ,and finish up.. I need to fly now in a handicapped equipped plane since I have no use of my left leg can anyone help? I did not have a Bellanca for sale. I may have posted a picture of a Bellanca. If you personally were looking to buy an airplane then sending me an email would not be spam. Trying to advertise the planes-for-sale classifieds within Hangarchat is spam. What Cruisaire? Please do not send spam to my email address. I liked seeing the Hangerchat girls at Oshkosh! Hello... I am a Commercial Pilot with 340 hrs on a Cessna 172 & 14 hrs on Piper Seneca. Can anyone help me understand the job situation, if I want to fly professionally. Although I do not fly, as I do like to fly, I am happy to relate to all about my experiences when I have been on an aircraft. If there is anything specific required about avionics I will try to answer. Thanks for a great site, will spread the word!! We are having a large Aviation Day here at North County on May 21st, will make sure to spread the word! !